In the modern age when we seem to be surrounded by mass produced and imported products that all too often appear to be very much the same it is a delight to find a true craftsman that still designs and produces beautiful and individual handmade jewellery. As a Fellow of the Gold & Silversmiths Guild of Australia, standards and excellence are everything to Silvermist Studio’s award-winning jeweller Tim Peel. Tim specialises in custom designing and creating one-off, personally designed engagement and wedding rings using only the highest quality precious metals and gemstones. When you spend hours, days, weeks and months planning your special day to be unique, and about you, there is be no better way to express this than with one of the most permanent things about your wedding day, the rings. 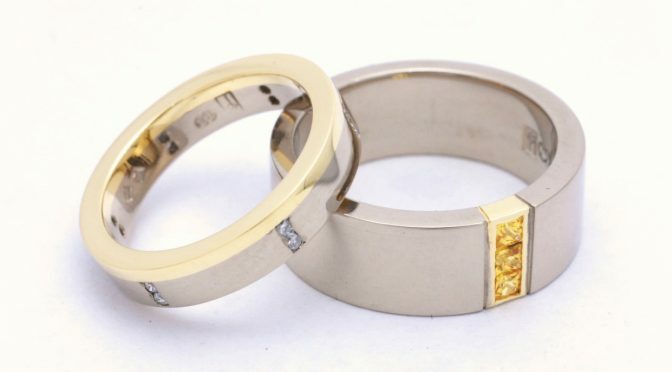 You will wear your rings as a symbol of love for the rest of your life so why compromise, you could be wearing a ring that you have helped to design, that is personalised and is made to last.